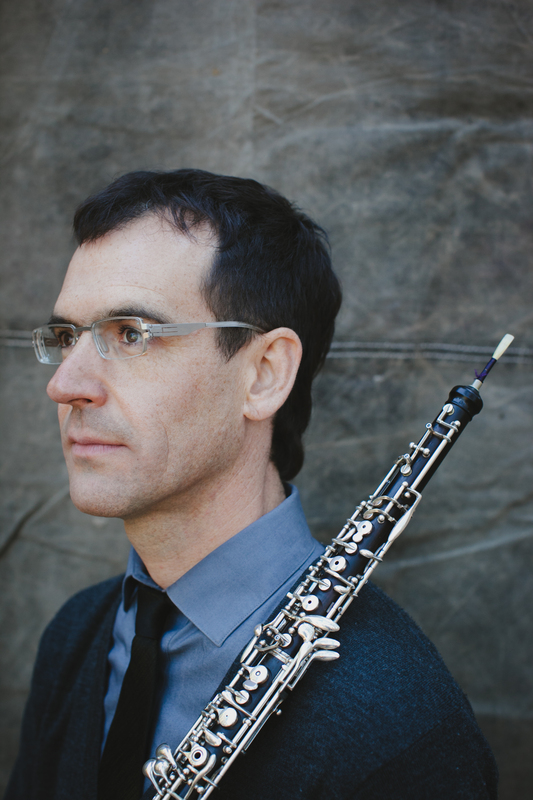 Oakland-based oboist and composer/performer Kyle Bruckmann’s work extends from a Western classical foundation into gray areas encompassing free jazz, electronic music and post-punk rock. He is a member of new music collective sfSound, San Francisco Contemporary Music Players, Eco Ensemble, Splinter Reeds, and Quinteto Latino. He teaches at UC Santa Cruz, and served as one of the volunteer curators at San Francisco's Center for New Music from 2014-16. Since moving to the Bay Area, he has worked with the San Francisco Symphony and most of the area’s regional orchestras while remaining active in an international community of improvisers and sound artists, appearing on more than 60 recordings of various genres. From 1996-2003, he was a fixture in Chicago’s experimental music underground; long-term affiliations dating from that era include the electro-acoustic duo EKG, the art-punk monstrosity Lozenge, and the Creative Music quintet Wrack (winner of a 2012 Chamber Music America New Jazz Works grant). More recent Bay Area improvising working groups have included Degradient, Shudder, Addleds, and mchtnchts.